While not great for gigs, there are a lot of cheap bass guitar amps out there that will work great for home and practice use. Let’s take a look at some of the best value bass amps on the market right now, and help you decide which one of these amps would be right for you. Here are the best bass amps under $100. Starting off with number five, we have the Fender Mini Deluxe Amp. Weighing only 1.2 pounds and measuring at 5.8 x 6.2 x 2.8 inches, this little guy makes a great little travel amp for those who require portability. 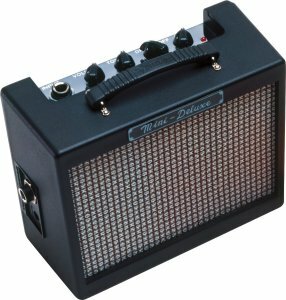 Despite it’s size, the Fender Mini Deluxe Amp packs a real punch and is surprisingly loud enough to fill an entire room with it’s sound. However, it does become distorted when turned up loudly so it’s best use is for quiet practicing. Being the lowest on our list of best bass amps under $100 also makes it the cheapest. This amp costs a mere $27.99 and is a solid choice for players on a budget. Click Here To View The Fender Mini Deluxe Amp on Amazon.com! Next up we have the Fat Boy FBGB15 bass amp. The Fat Boy FBGB15 is a huge improvement over the Fender Mini Deluxe, and it’s 6″ speaker boasts 15 watts of power vs the Mini’s 1 watt. This allows the amplifier to get much louder without sacrificing sound quality. Unfortunately, this means it’s much more expensive than the mini, although this price increase is easily justified if you want a bit more volume. Still, the FBGB15 is a solid choice for people on a budget, despite the fact that are better amps available. 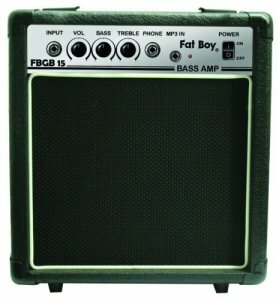 Click Here To View The Fat Boy FBGB15 15 Watt Bass Amp On Amazon.com! Here’s where we really get into the decent amps. The Fender Rumble 15 v3 far surpasses the other two bass amps mentioned so far both in terms of volume and quality. The tone on the Fender Rumble 15 v3 is surprisingly good for the price and the 8 inch speaker really packs a punch. This amp is loud enough to fill an entire room with noise without sacrificing sound quality. However, this amp isn’t recommended unless you specifically want a Fender. It’s a great amp, but there are far better options available for only a few dollars more. 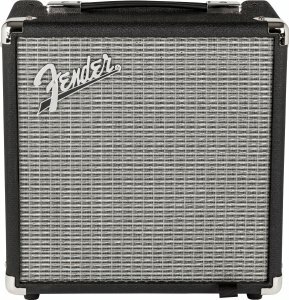 Click Here To View The Fender Rumble 15 V3 Bass Combo Amplifier On Amazon.com! I had a hard time putting the Pyle-Pro PVAMP60 amp in the #2 spot because such a great deal for it’s price. The beauty of this amp lies in its effects – it has a TON of knobs that can affect the sound. While it has the standard low mid and high knobs, it also has the ability to change the length and depth of the sound. On top of this, it has an overdrive mode that packs a really dirty, crunchy sound useful for heavier genres. Needless to say, there’s a lot of different sounds you can get out of this amp, making it a lot of fun and suitable for a ton of different genres. Still, it didn’t make the #1 spot because there are many complaints for quality issues. This amp is known to have a loud annoying humming sound when not in use. That doesn’t mean it’s a bad amp, because it certainly isn’t. 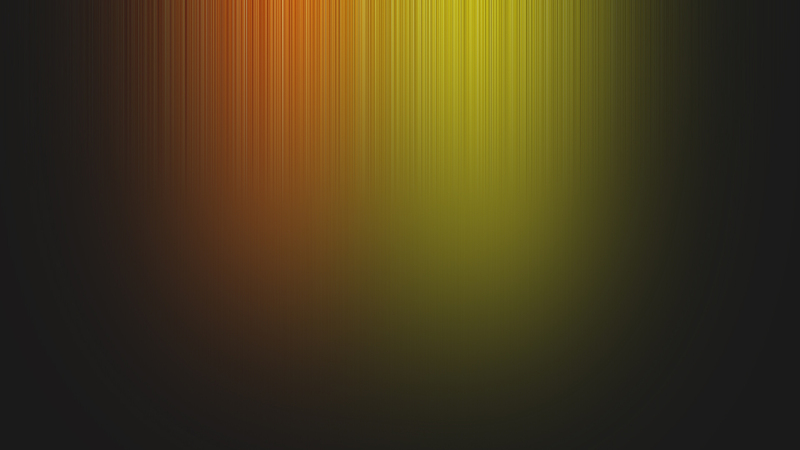 You just have to ask yourself if it’s worth putting up with the humming for all of these effects. Click Here To View The Pyle-Pro PVAMP60 60-Watt Vamp-Series Amplifier on Amazon.com! 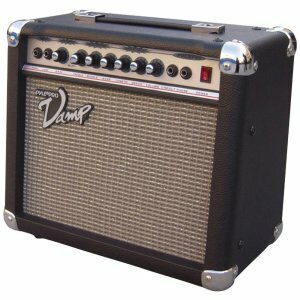 Known for their top-quality products, it’s no surprise that an Ampeg amp made the number one spot on this list. While not boasting as many effects as the Pyle-Pro, the Ampeg BA108 far surpasses any other amp on this list in terms of quality and tone. This amp sounds incredible out of the box, and the bass, treble, and mid knobs allow you to tune the tone to exactly the sound you need. This makes the amp versatile for many genres and allows you to get just the sound you’re looking for. 25-Watts is more than enough for this amp to fill your room with sound and then some. Because the quality is maintained even at louder volumes, this amp can be used for band practices or even small gigs, so long as the other musicians aren’t playing extremely loudly. While I still recommend getting a bigger and better amp if possible, the Ampeg BA108 is the best bass guitar amp under $100, hands down. 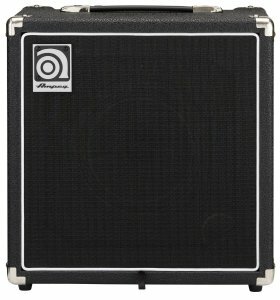 Click Here To View The Ampeg BA108 25-Watt 1×8 Bass Combo Amplifier on Amazon.com! Those are the best bass guitar amps under $100. My question to you is, which will you end up going with? Why? Let us know which amp you decided to buy using the comments box below. We’d love to hear what you chose!